But enough about my personal life. This post is to share with you the most-read posts from An Exercise in Frugality over the last year. It’s been a great year and 2014 promises to be even better. I am honored and humbled daily by every single one of you who reads this blog. Your support and input are truly what keeps me going. I literally could not continue to do what I love without each and every one of you, so for that I graciously say THANK YOU! 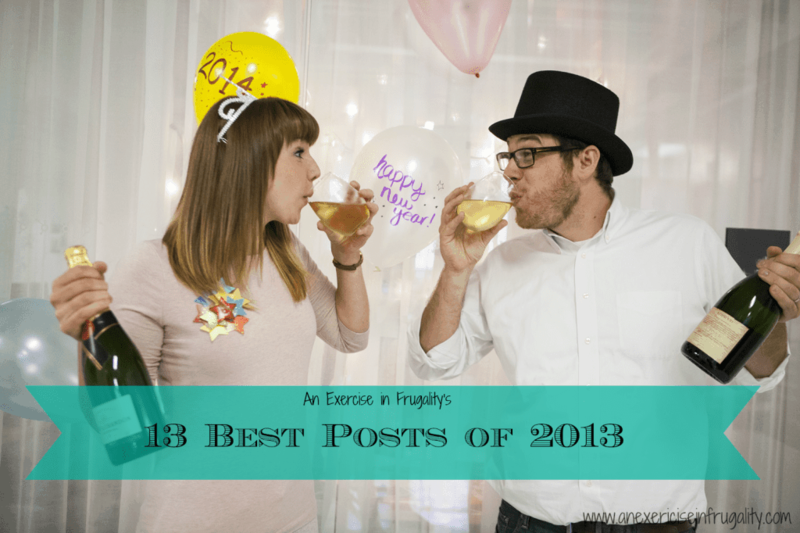 So without further ado, here’s the 13 best posts from 2013! What was the highlight (or lowlight) of 2013? What are you looking forward to in 2014?